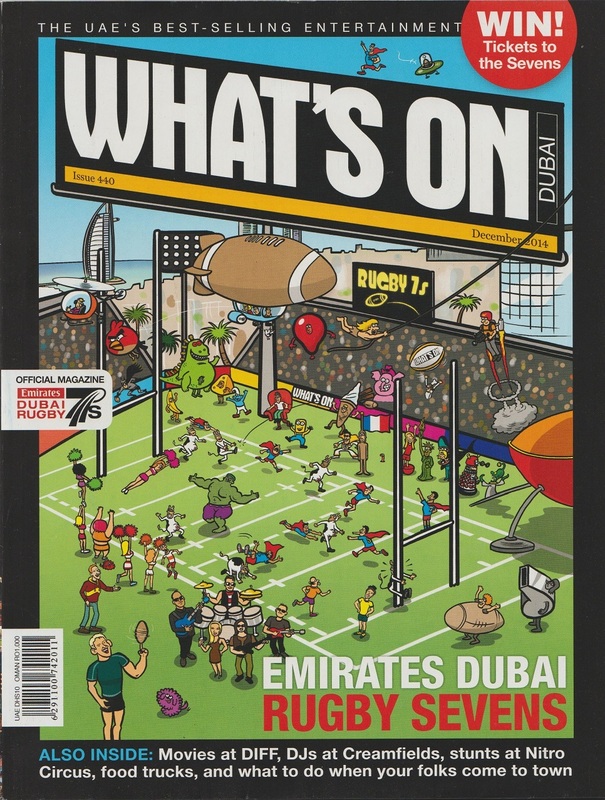 The cover for the magazine was produced by illustrator Bill Greenhead (which depicts the fancy dress day held at the Dubai Sevens tournament every year). The 2014 Dubai Sevens was the second tournament of the 2014-15 sevens World Series. This was held between the 4-6th December 2014 (at the Sevens Stadium ‘Dubai’). This particular tournament was won by South Africa who beat Australia 33 points to 7 in the Cup final.